I did it! I have been able to live the dream of taking a year out and travel around the world, but that’s not where my travel experience started. This trip was 10 years in the making because I was so afraid I couldn’t afford it, my career would suffer or my marriage would fall apart. I’m happy to say that quite the opposite has happened! Hailing from Canada, but living in other countries, as well as traveling through them means I know a lot about how to get around, live in other cultures and the day-to-day life of being an expat! But first, I must confess, I’m not only an avid traveller, I’m a performer – I have sung on the London Underground, acted in a Cave and danced at my own personal version of a Greek wedding. All along travel has been in my life – my first flight was when I was under a year old! It’s in my blood and I love it! Then it happened, on this round the world trip, I realised that I had some amazing experience in how to travel and travel well. My travel blog posts are gaining a lot of interest from people all over the world, I’ve received a scholarship from Dallas Travers to support me in launching this work (click here to find out more about her genius in helping actors with the business side of the entertainment industry), I’ve had articles published in other people’s media and I’ve done my first travel guesting interview for Will Tang’s Travel site. This is all within a month of coming back from my big trip! I love working with travellers – you guys want to have a good time and a good life! So, I would be honoured to work with you and help you through any travel hitches and encourage you to do more of what you love – travel! Debbie and I share the same passion of a love of travelling. We enjoy exploring and experiencing new adventures around the world. I have travelled to 47 countries and still counting. I worked at the budget end of travel in London’s busiest youth hostel in the 90s. I, also, have experienced luxury and business class travel during my career as a scientist and stayed at beautiful hotels. 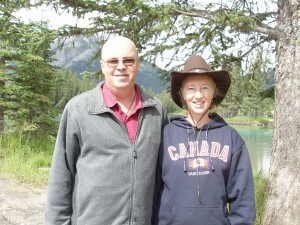 Debbie and I completed a year long round the world trip in July 2015 and plan more travel in the future. During that year of travel it was not all a bed of roses. It is one of the reasons we set up this website to help travellers who were faced with the same challenges we were in bridging the travel gap of planning to reality. During my many years of travel I have experienced the bad side with bed bugs in China and picked up cholera in Asia. I, also, have a nasty habit of getting food poisoning on previous trips. I am happy to say on the year we were away that did not happen. I have slept in rooms where the bathroom consisted of a drain pipe coming out of the wall and was termed a shower. On the flip side my career as a scientist gave me the opportunity to stay in luxury hotels around the world. Life, I believe, is about having adventures and new experiences. We hope that our experience and passion for travel can assist you in fulfilling your travel dreams, whether that is visiting new cities or countries, tasting new foods or exploring the culture of a country.